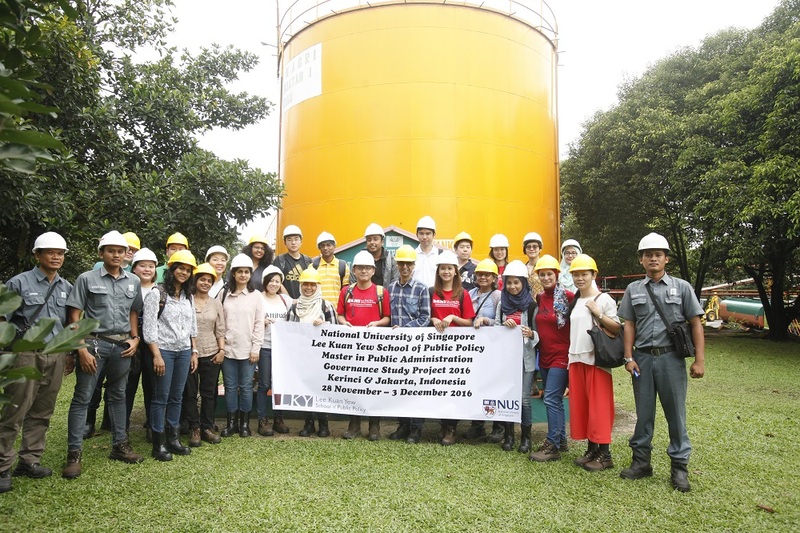 On 28-29 November 2016, a group of approximately 55 students of Master of Public Administration at the Lee Kuan Yew School of Public Policy (LKYSPP), National University of Singapore (NUS) visited APRIL and Asian Agri, two world-class companies in Pangkalan Kerinci, Riau Province, Indonesia. The visit was a study trip program as part of the flagship Governance Study Project (GSP). The purpose of the visit was to learn from APRIL and Asian Agri how they are operating their businesses sustainably, while at the same time supporting the development of rural areas in Indonesia. The visit has given us valuable insights on the role of APRIL and Asian Agri as responsible corporate citizens of the country –according to the founder Mr. Sukanto Tanoto– in supporting the implementation of sustainable development program in Indonesia. 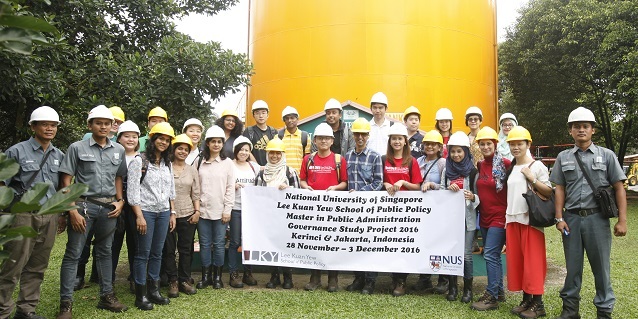 At the LKYSPP, we learned the theories and concepts. In this visit, we learned how some theories and concepts have been put into implementation to sustain the businesses and to benefit the society. 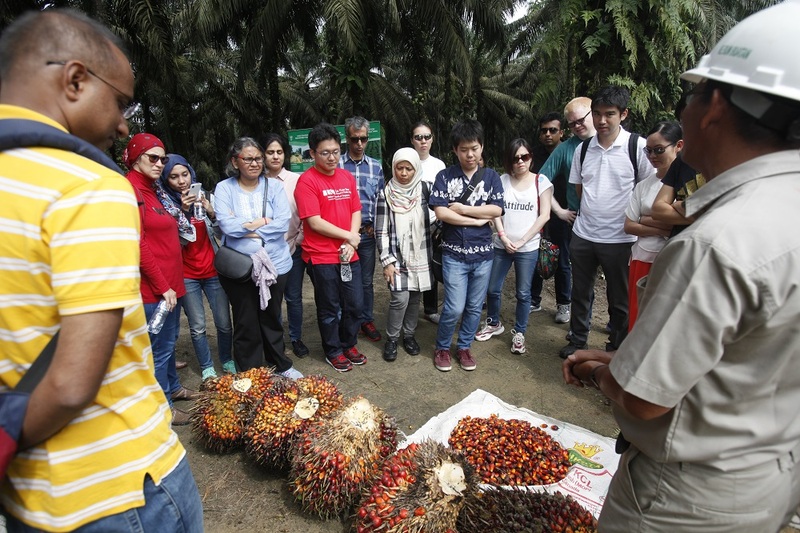 At the beginning of the visit, we were pretty sceptical as to whether or not APRIL and Asian Agri have done well in contributing to the wellbeing of the society. We were lucky that we had opportunities to explore, observe, and conduct dialogues with the stakeholders involved, including the companies’ management and some plasma smallholders. We were given a comprehensive introduction to the operations of both companies and on their views and aspirations toward continued partnership with local communities in the future. From this elaboration, we could see that APRIL and Asian Agri have developed policies, regulations, and efforts to improve the lives of the society, particularly in Pangkalan Kerinci and Riau Province. We heard first-hand from the plasma smallholders that by partnering with Asian Agri, they have a better living standard. Some of the plasma smallholders said that they can even send their children to pursue higher education. 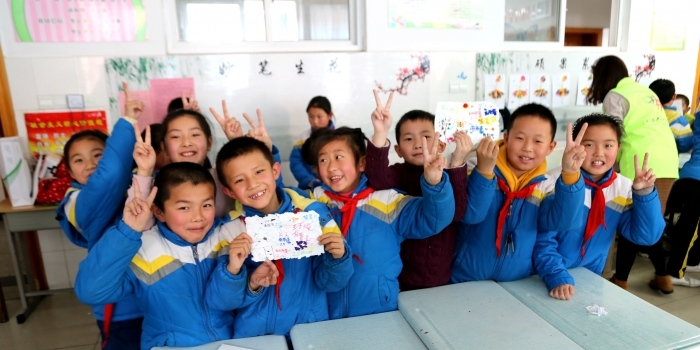 This is such an unprecedented improvement in their lives since the majority of those plasma smallholders are elementary and junior high school graduates. Yet, many of their children have pursued higher education, even up to a master degree. In the visit, we saw how the presence of APRIL and Asian Agri have significantly contributed to the transformation of the nearby tiny area of Pangkalan Kerinci, into one of most vibrant and most developed town in Riau province. Both companies have also been reviving the town with their contributions to the development of the infrastructure, education, economy, and healthcare facilities. The core business principle of the two companies to engage government and civil society is likely to be a vital factor which has brought about their success. We were impressed with the wisdom of the founder, Mr. Sukanto Tanoto, who aspires for the two companies to be the responsible corporate citizens of the country. His wisdom has been narrated very well in the motto “Good for Community, Good for the Country, Good for the Climate, and Good for the Company”. One of their business principle to improve the wellbeing of broader interests (the community, the country and the climate) as the prerequisites of the company’s wellbeing have made APRIL and Asian Agri such good examples for other companies operating in Indonesia. Our Dean, Professor Kishore Mahbubani, said that Indonesia is a beautiful country with complex challenges. Among the challenges ahead is how to improve the government-business-civil society partnership to tackle wicked problems of the country, such as poor haze management, poverty, unemployment, etc. The success story of APRIL and Asian Agri engagements need be shared as a good example for other businesses to improve their engagements and to benefit the country in which they operate.